Get ready to race in an extreme game show! 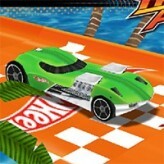 Try to compete in death-defying stunts in this fast-paced racing game – Hot Wheels: Stunt Track Challenge! Play on high-speed races on one of the 12 tracks and try to cross the finish line first! 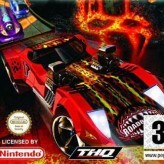 Hot Wheels: Stunt Track Challenge is a fast-paced racing game released in 2004 for multiple gaming consoles including the Game Boy Advance handheld system (GBA). 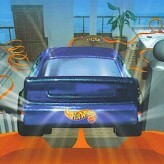 The game revolves around a game show about racing and completing various stunts. 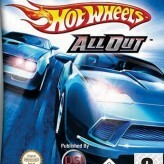 The game features fast-paced races, mini-games, and stunts to complete. Game Show mode features six episodes to play through: Jurassic Jam, Buccaneer Bay, Spider Alley, Tiki Island, Lava Land, and Zero Gravity Zone. Win the sizzling fast races to stay on the show! There have been 1,549 plays and 12 likes from 14 votes (86%) since 07/04/2017. 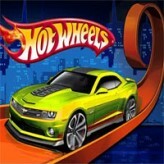 You are currently playing Hot Wheels: Stunt Track Challenge game for free on Arcade Spot. It is a single game out of a variety of games that you can play on Arcade Spot. 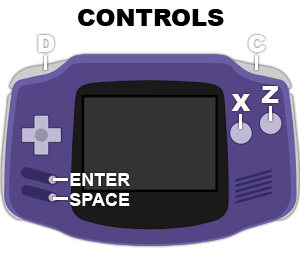 Play more games like Hot Wheels: Stunt Track Challenge in the Arcade, Challenge, Driving, Emulator, GBA, and Racing gaming categories. This game has a rating of 86 out of 100 based on 14 user ratings. If you enjoyed playing the game, give it a thumbs up. Free Online Games and Arcade Games are added every day. Arcade Spot will bring you the best games without downloading and a fun online gaming experience on the internet.